National taxi fares are set to increase by an estimated 4% on Thursday, April 30th 2015. 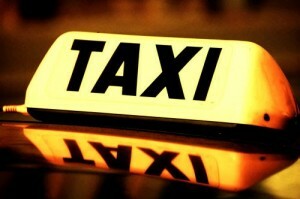 Taxi fares have not increased in Ireland since 2008. Lynk, Dublin’s taxi app, CEO and Spokesman Noel Ebbs comments: ‘There is confusion among drivers as to whether or not this actually is an increase due to the method in which fares are calculated. Currently, there are two different rates and six different tariffs. The new structure will mean that more regular fares will show a very slight increase of a few cent while medium length journeys up to 30kms may be more noticeable. However, longer journeys will show a fare reduction. Therefore, it will depend on your average journey length if you see an increase or not. The confusion is understandable! Part of the fare review has been to simplify the process. There are currently two rates, Standard and Premium. There are three tariffs within each rate, A, B & C. In addition to this there is usually a booking fee of €2 when you book a taxi. Lynk taxis don’t charge a booking fee. Premium Rate times: 20.00h to 08.00h (and Sundays and Bank Holidays). – Standard and Premium rate will remain in place as before. – There will be two tariffs in each rate, A & B; as opposed to a previous 3.